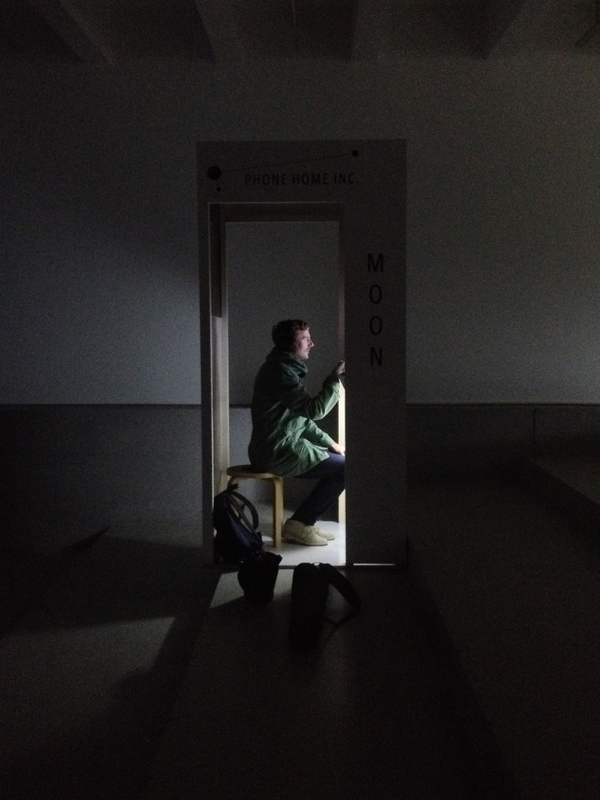 Phone Home Inc. is an installation in which you can experience interplanetary communication. In space we have to deal with unthinkable distances that reveal the limitations of physics. We are bound to the speed of light and this influences sending and receiving information to and from one planet to an other. To let you experience how distance influences communication Phone Home Inc. was created. 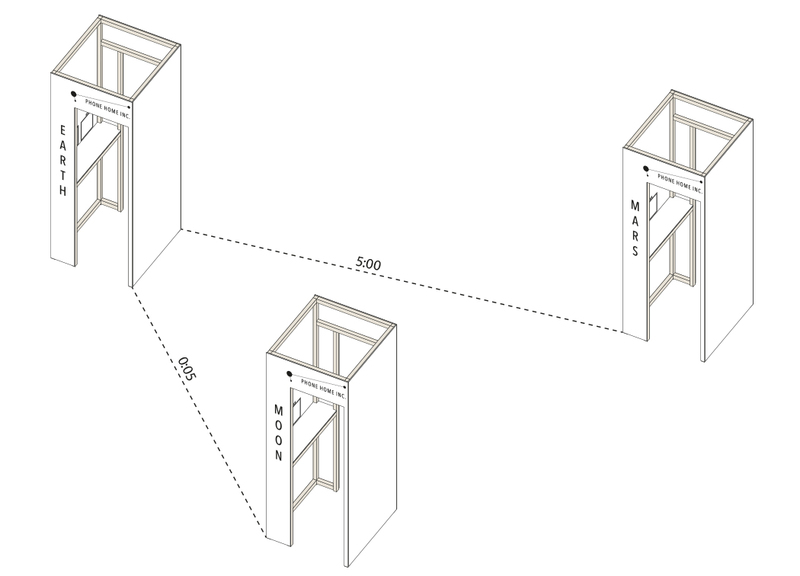 The installation consists of three phone booths each representing a planet, Earth, the Moon and Mars. From Earth you can 'skype' to the Moon and to Mars. In the connection Earth - the Moon a delay is set of 5 seconds. This means that the video and audio recorded on Earth are played on the Moon 5 seconds later and vice versa. The Earth - Mars connection has a delay of 5 minutes. When you ask a question to someone on Mars it will take at least 10 minutes before you get your answer. This project was done together with Rogier Arents in the group Observing Space for BIO50, the design biennial of Slovenia in Ljubljana.